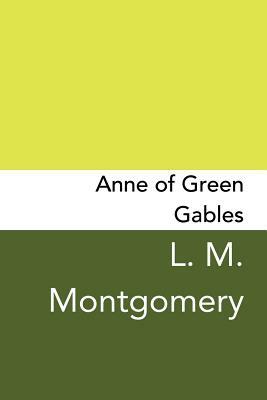 Anne of Green Gables, by Canadian author Lucy Maud Montgomery, is written for all ages but has been considered a children's novel since the mid-twentieth century. The adventures cover the life of Anne Shirley, an 11-year-old orphan girl who is mistakenly sent to Matthew and Marilla Cuthbert, a middle-aged brother and sister who had intended to adopt a boy to help them on their farm in the town of Avonlea on Prince Edward Island. We hear how she makes her way with the Cuthberts, in school, and within the town. Anne of Green Gables has sold more than 50 million copies and has been translated into at least 36 languages. The original book is taught to students around the world and has been adapted as films, musicals and plays. Lucy Maud Montgomery, OBE (November 30, 1874 - April 24, 1942), published as L.M. Montgomery, was a Canadian author best known for a series of novels beginning in 1908 with Anne of Green Gables. The book was an immediate success. The central character, Anne Shirley, an orphaned girl, made Montgomery famous in her lifetime and gave her an international following. The first novel was followed by a series of sequels with Anne as the central character. Montgomery went on to publish 20 novels as well as 530 short stories, 500 poems, and 30 essays. Most of the novels were set in Prince Edward Island, and locations within Canada's smallest province became a literary landmark and popular tourist site-namely Green Gables farm, the genesis of Prince Edward Island National Park. She was made an officer of the Order of the British Empire in 1935. Montgomery's work, diaries and letters have been read and studied by scholars and readers worldwide.